Quebec is unique. Within that statement, we at Lovepac have the rights to two unique art works that go onto pizza boxes throughout Quebec (B1&B2). When you are at a local pizza restaurant and you order takeout, chances are that the box is our iconic pizza box. If not, we may also be the one customizing the print on the box. 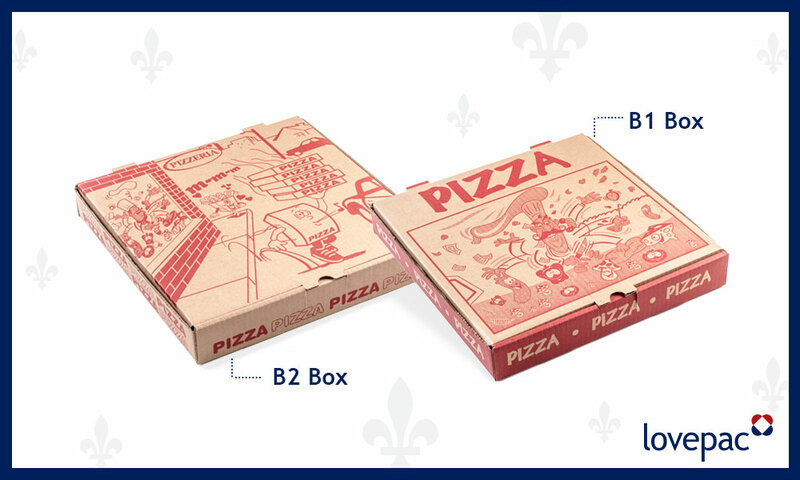 As a leader in small quantity pizza boxes, we find ourselves in many small pizza restaurants throughout Quebec.